Vacation time! This is what you are probably most excited about. This is why you have been putting in more hours at the office. This is why you are coming in on Saturdays. And it's finally paying off! Now you get to go on that cruise. You get to relax on the beach. No matter where you are going, you want to be sure that your home is in the same state when you get back. The last thing you want is to get home to find out that your house burned down. Or that a flood drowned all of your belongings. Before you head off to your much needed vacation, make sure you run through this checklist for the safety of your home. 1. Tell a neighbor. Don't just run off without telling anyone. Tell a neighbor so they can pay special attention to your home. She might even be nice enough to come over and water your plants while you are away! 2. Turn off the thermostat or hot water heater. This will eliminate extra cash from accumulating on your energy bills. 3. Leave your credit cards and social security card at home. Take only one credit card for emergencies. Use cash to avoid losing your important credit cards, and spending too much money on souvenirs! 4. Clean your fridge. Throw away that milk so you don't come home to a nasty smelling house. Ick! 5. Take out the garbage and recycling. 6. Unplug all electronics and small appliances. Avoid a fire starting and high energy bills. If you want added protection, look into purchasing a home alarm. Installing a Smith Monitoring home alarm will allow you to remotely access these appliances. 7. 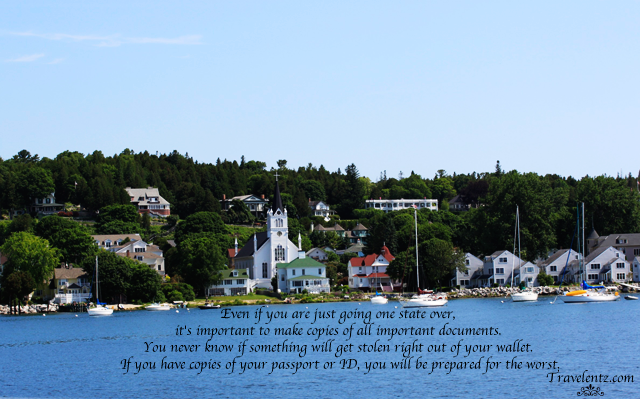 Even if you are just going one state over, it's important to make copies of all important documents. You never know if something will get stolen right out of your wallet. If you have copies of your passport or ID, you will be prepared for the worst. 8. Close your blinds and lock your doors. Make sure all entrances to your home are securely locked before you leave for a long period of time. Closing the blinds won't allow a burglar to be tempted to attack your home. 9. Hold all your mail. This is imporant. If newspapers are piling up at your front door and your mail is spilling out of the mailbox, it is practically begging an intruder to rob your home. Be smart! Fool a burglar into thinking that you are still home. Carly has a degree in English and will talk your ear off about Smith security. She loves to write about DIY home decor and homemade treats for special occasions.